A friend of mine received the Tilly and the Buttons Cleo sewing pattern, along with some gorgeous red needlecord as a Christmas present last year, and I suggested that we sew it together. She hasn't done much sewing, but enjoys it, and we made the dungaree dress over several sessions, breaking the steps down. And it looks amazing! I know she's pleased with it, and I hope she's proud too, because I absolutely love it. 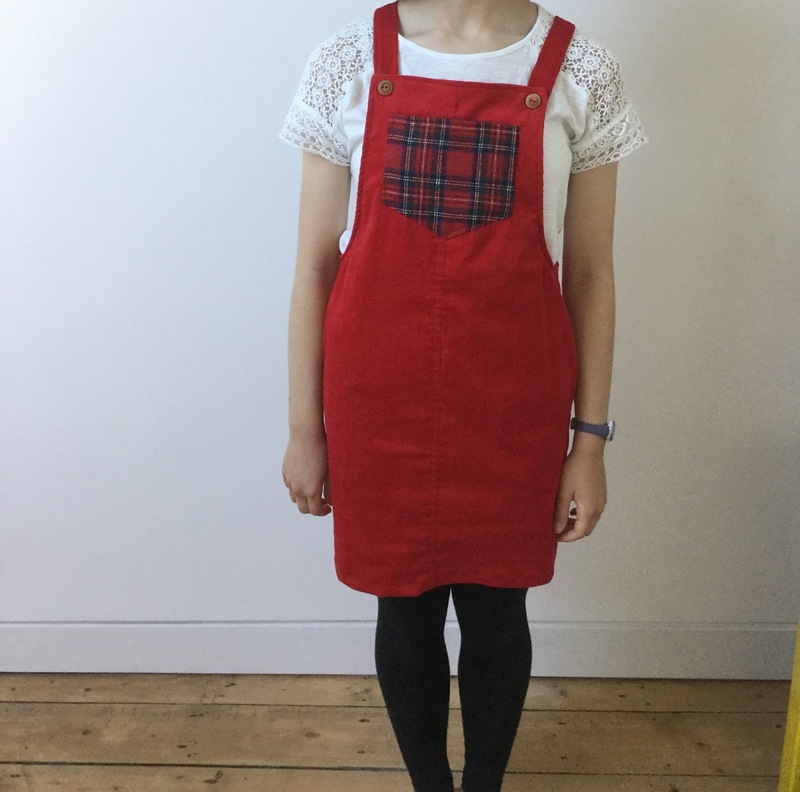 I am definitely a lover of the Cleo pattern, having made two (you can see my burnt orange cleo here and my denim dungaree dress here) and I'd love to make a third copying some of the details from this one. None of the fabrics were my choice, but I absolutely love them. She chose to use tartan as a contrast pocket, which isn't something I would have thought of, but I think that the effect is really great. Copying this, I think that a light denim Cleo with a bright contrast pocket would also look really good. 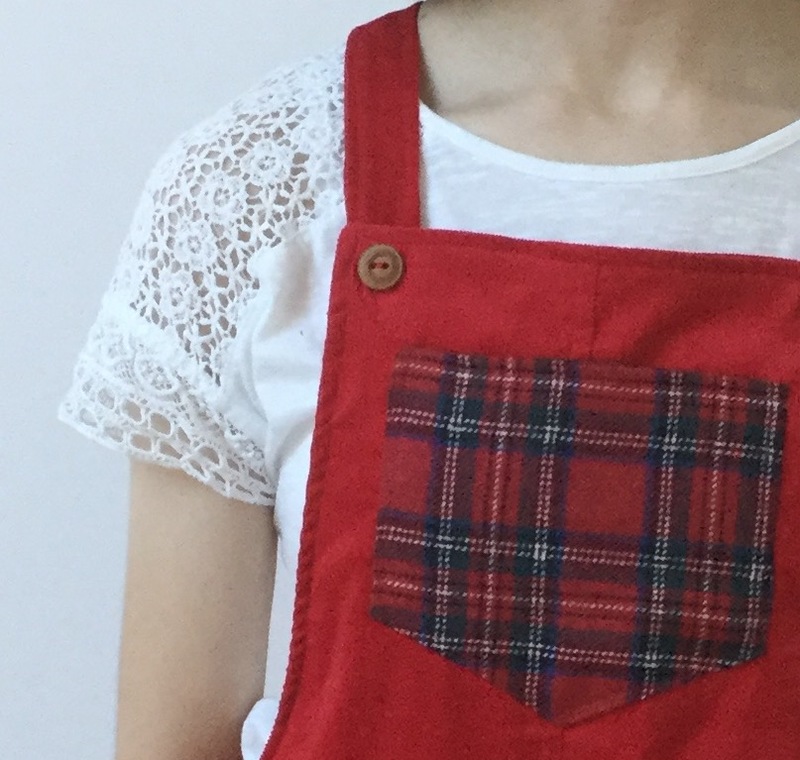 The other detail that I really like about this, and this isn't something that I've done previously, is to use buttons instead of dungaree clips. I think they go really well with this style, and we managed to find some wooden buttons in my stash of buttons that were just perfect. 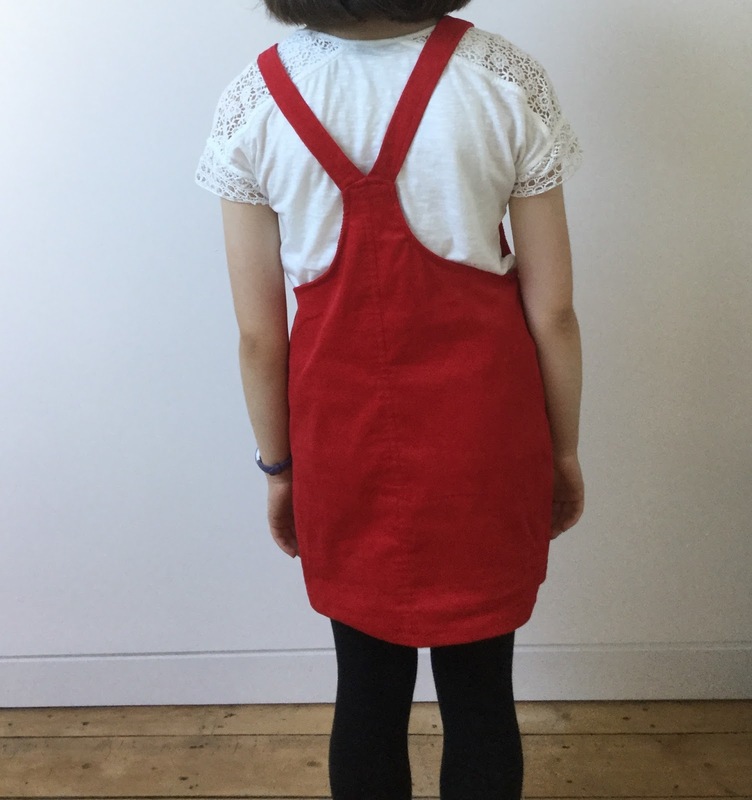 I think that the Cleo dungaree dress is a great pattern for people who are starting to sew, although I would say that some of the language in the instruction booklet may be a little bit technical for someone sewing on their own without someone to help (e.g. facings, finish seam allowances etc). I know that this isn't something that can't be quickly solved with the internet, but it might still be nice to embark on a slightly simpler project to comprehend if you are making it on your own. 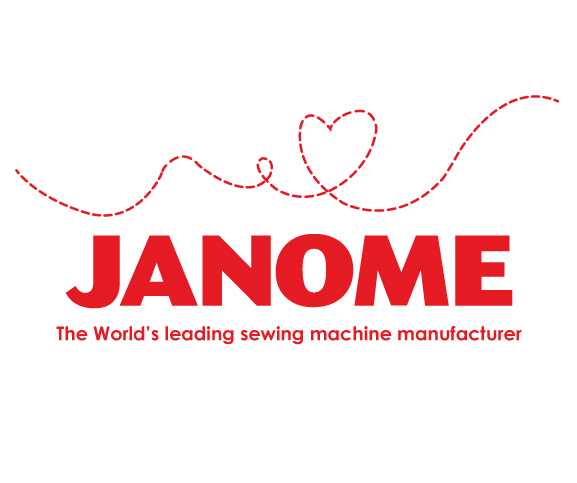 On the other hand, if you want a pattern to help teach someone to sew, and that you are there making it with them, this is a very good pattern. It's quite quick and easy, and, importantly, wearable. There really is nothing better than making a garment that you can actually wear out in public for the first time! Cute! I've never sewn the Cleo pattern, as I don't have much need for a dungaree dress and I'm not crazy about the silhouette in general, but this is really cute! I love the contrast pocket and the buttons.